Gorka got his start at Godfrey Daniels, a neighborhood coffeehouse in eastern Pennsylvania, which is one of the oldest and most venerable music institutions in the country. After releasing his first album with Minnesota-based Red House Records in 1987, he recorded five albums with Windham Hill’s Will Ackerman’s High Street Records between 1989 and 1996. 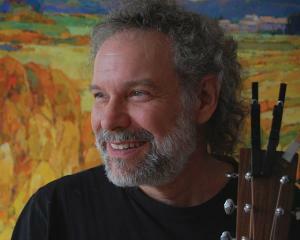 Many well known artists have recorded and/or performed John Gorka songs, including Mary Chapin Carpenter, Nanci Griffith, Mary Black and Maura O’Connell. John has graced the stage of Austin City Limits, Mountain Stage and etown, and has appeared on CNN. His song “Where No Monuments Stand” is featured in the documentary Every War Has Two Losers, about activist and Oregon Poet Laureate William Stafford. Next Stage is located at 15 Kimball Hill in downtown Putney, VT. Tickets are $22 in advance and $25 at the door. For information, call 802-387-0102. Advance tickets are available at www.nextstagearts.org, Turn It Up in Brattleboro and Putney Food Co-op in Putney. Next Stage will provide a beer and wine cash bar. For more information, visit www.johngorka.com, www.twilightmusic.org and www.nextstagearts.org.